Sunflowers, budding during the summer months, lights up every garden and backyard with their bright yellow-brown color. Since these flowers have now become one of the most sought-after subjects in arts, here is a compilation of ten free unique, easy-to-print sunflower coloring pages, which are suitable for nature study. 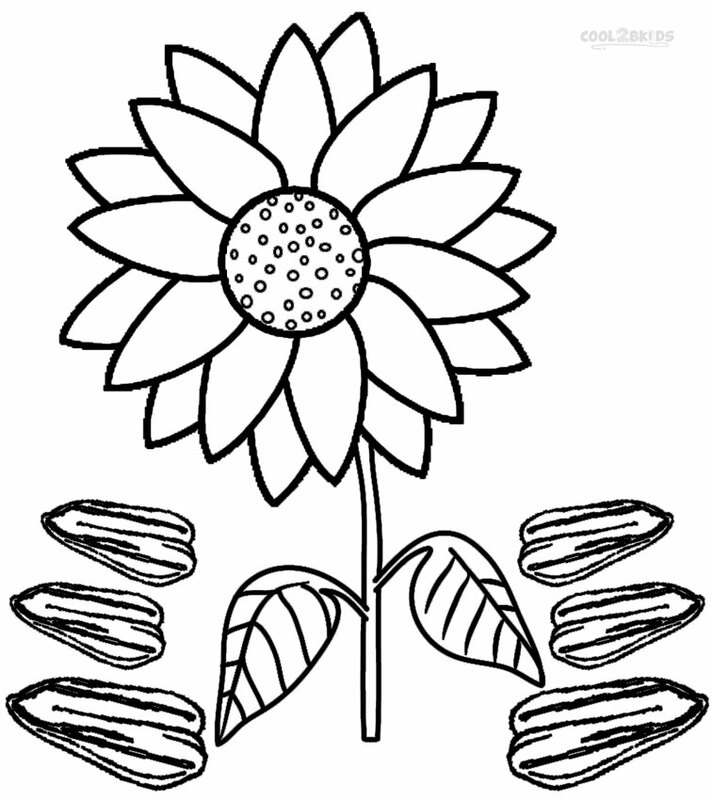 The simple coloring sheets are ideal for those just learning to pick up crayon sticks while the detailed ones could be used to educate your kid on how a sunflower plant comes to life from seeds. Here’s a coloring image of a Dafna sunflower soaking up the rays of the sun. Dafna is one of the fastest blooming sunflowers. This dazzling, yellow to orange sunflower has dark hearts, which makes it look outstanding. The Dana sunflowers have distinctive leaves. The leaves are light green and have a heart shape with a hairy surface. This excellent cut flower keeps coming every season on 5-foot tall plants. In Dafna sunflowers, the petals overlap, so there are no gaps in the bloom. Dafna Sunflower grows up to 5.5 feet in 60 days. Do you want to teach pre-literacy skills and color recognition to your child? 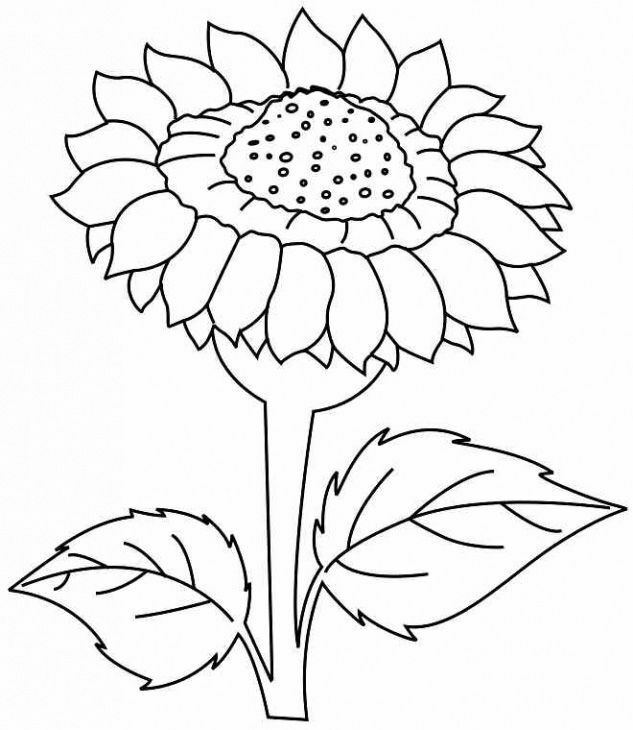 Then our S for Sunflower coloring page is here to help you. 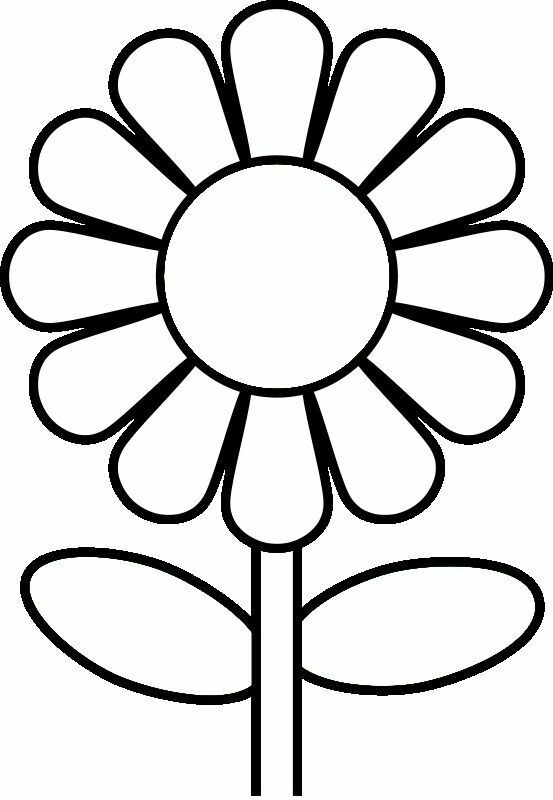 This coloring page will have your little one color a cheerful sunflower while learning the sound and shape of the letter P. Ask him the name of other flowers starting with the letter S. He can then use this coloring page as a decoration in the classroom or his bedroom. Tell your child to pull out his orange and yellow crayons for this beautiful sunflower coloring sheet. It features a sunflower mandala Do you know what’s a mandala? A mandala is a tool for gaining compassion and wisdom. This spiritual symbol represents the universe. It exhibits a kind of radial balance. The mandala serves as the tool for guiding people or observers to the path of enlightenment. It transforms an ordinary mind into the enlightened one. Maximilian Sunflower is a hard, drought and heat-tolerant perennial flower native to North American prairies. The dense clusters of this sunny yellow flower bloom from mid to late summer until the frost. The flower has 6 to 8 foot stems rising from a cluster of shiny green leaves. The Maximilian sunflower got its name from Prince Maximilian, the German explorer and botanist who encountered it while traveling the United States in 1830. When planted along the fences and back of borders, these flowers provide food for a multitude of birds. Do you want to hone your child’s creative instincts and abilities through coloring pages? Or do you want to make plant life and color recognition a fun activity for him? If you said yes, why don’t you offer him our sunflower coloring pages? 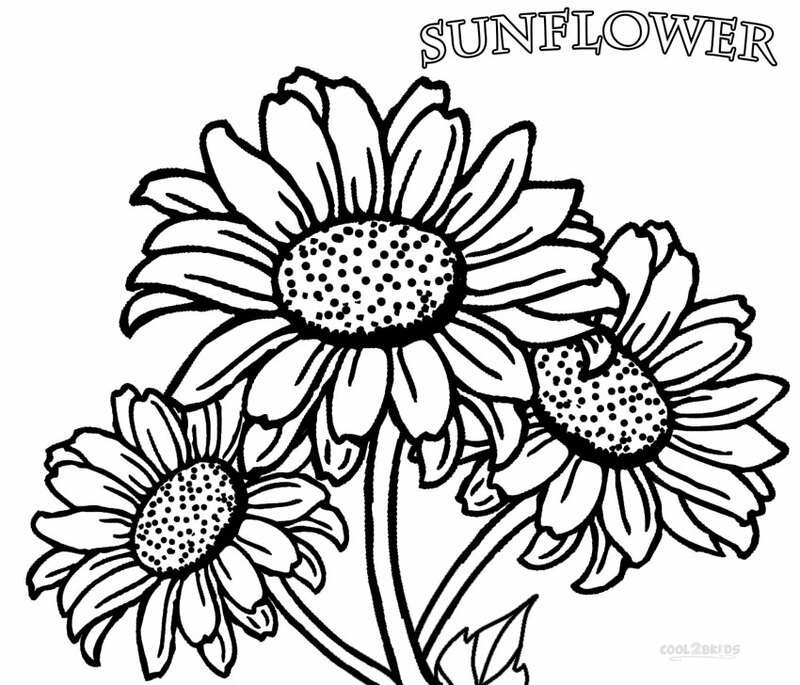 Here’s another lovely sunflower coloring page with a beautiful background. Solara Sunflower is an upward facing sunflower with an enormous dark center and golden yellow petals ranging up to 6 inches in diameter, Solara sunflower is one of the largest varieties of sunflower. The plant grows up 6 feet tall and is completely pollen-free. Solara sunflowers require an average soil with good drainage and sun to thrive. If you want continuous Solara sunflowers, then plant them every two weeks from spring to early summer. Summer is all about fresh fruits, warm weather, butterflies, the sunshine and of course sunflower. Here’s a coloring image of the Moulin Rouge sunflowers surrounded by gorgeous sunflowers. Moulin Rouge sunflower belongs to the Helianthus genus. It is one of the most popular garden flowers of North America. Moulin Rouge sunflowers attract a lot of butterflies and bees. Butterflies are one of the main pollinators of sunflowers. The florets of sunflower contain nectar that is very attractive to bees. It develops a symbiotic relationship with butterflies and sunflowers. You can print out the coloring pages of sunflowers for a summer or spring birthday party and other summer activities. You can also show them a beautiful and colorful picture of a sunflower and ask your little one to color this one in the same manner. It will serve as a powerful memory building exercise. You’re also welcome to share this post with your other friends. Bask with your little one in the warmth of the Kansa’s state flower, the sunflower. Kansas selected the sunflower as its official state flower in 1903. Sunflower symbolizes the glory of the past, the pride of the present, the winding trails and the emblematic of the majesty of Kansas. Even the American Indians used the sunflower for food around 3000 years ago. The flower is featured on Kansas’s state flag, emblem and state quarter. And the nickname of Kansas is also the “Sunflower State”. Children can use orange or some shades of yellow to bring life to this sunflower. 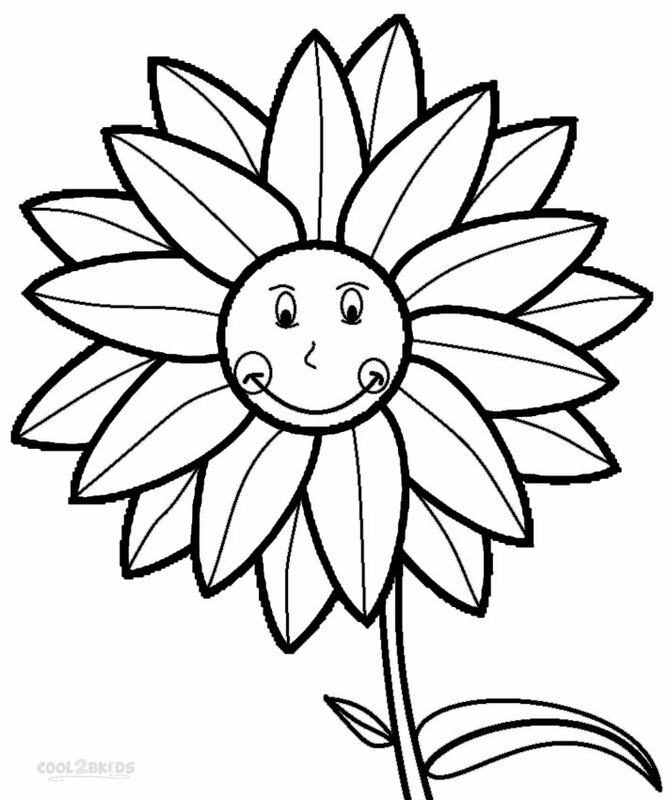 This jolly sunflower coloring pictures will surely delight your little one. The diagram has lots of lovely petals and a cute, little face to color. Tell your child to use bright yellow for the petals and brown in the center. This coloring page is ideal for younger children. Encourage him to make a garden or a field and a blazing sun in the background. You can hang his work in his room or your living room. It will make an eye-catching sight. Here’s an introductory coloring page of sunflower. 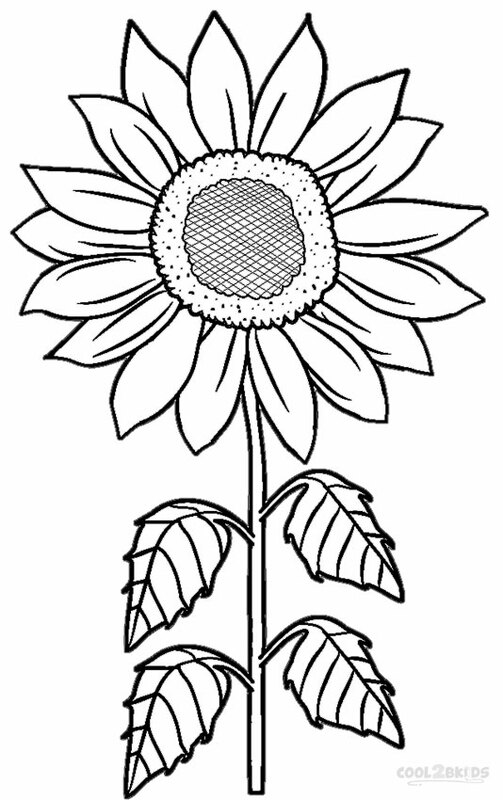 This sunflower coloring image contains a short trivia about the flower. It states that sunflowers bloom from the late August to September. The flower is famous for its cheerful blooms and seeds that produce oil and snack food. A large and mature sunflower comprises of 1,000 to 4,000 tiny individual flowers in each head. It has large, dark green leaves ovate in shape. The sunflower turns its head and faces the sun throughout the day to track the sun’s movement, which gave the flower its name. 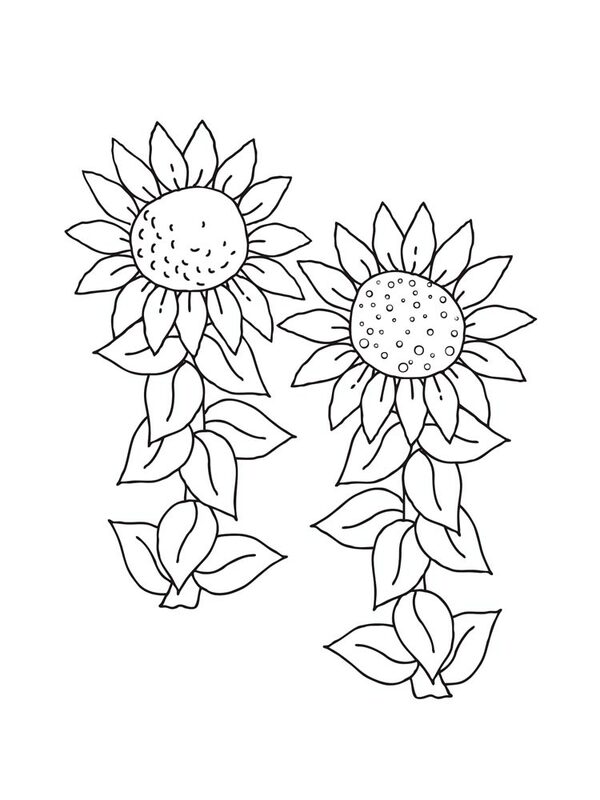 Warm your kid’s imagination with our small collection of sunflower coloring pages. These coloring pages are excellent means to educate him about different sunflower species and their uses. The sunflower is a flower of the Asteraceae family. Its name comes from its large, flowering head, which makes it appear like an image of the sun. There are two main types of sunflower florets- ray flowers and disk flowers. Ray flowers produce large flowering heads, and disk flowers have tightly packed florets of flowers found in the center of the flowering head. The Sunny Smile sunflower also called annual, and common sunflower is a 5 inches dwarf sunflower surrounding a black disc. These sunflowers are best planted in small pots. In small containers, the Sunny Smile sunflower puts all of its energy to produce a single, jumbo-sized flower. If you plant these flowers in large containers, you will get at least four gorgeous looking, golden yellow flowers. Sunny Smile sunflowers can grow up 12 to 15 inches tall in around 55 days. Brighten your child’s summer with this spring coloring page. This hummingbird and sunflower coloring page will engage your aspiring artist to bring this realistic scene to life. You can also teach him the scientific names for both hummingbird and sunflower after the finishes coloring. Did you know that sunflowers emit a substance from the germinating seeds and roots that inhibit the germination of other seeds around them? 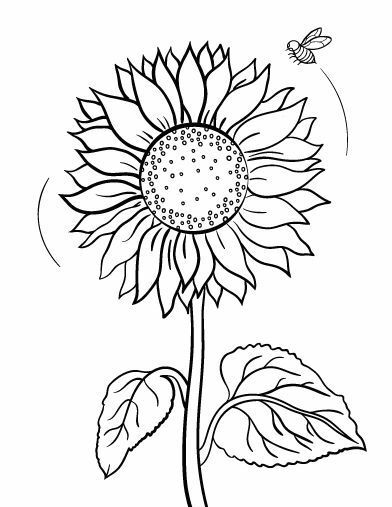 Here’s a beautiful sunflower coloring sheet for a quick nature study. It features a Little Becka, a stunning, large, copper red, and pollen-less sunflower. It is an early bloomer and produces large flowers on full plants. The Little Becka sunflower thrives in warm temperature and moist soil. These sunflowers are low on maintenance plants and are easy to grow. The beauty of the sunflower adds spark to the living room and flower arrangement. Here’s a coloring image of a small and cheerful sunflower, the Pacino Cola sunflower. Pacino Cola is 5 inches, lemon yellow sunflower with a brown center. These sunflowers make a sunny sight in a garden or landscape. You will find this lovely flower blooming every summer, from July to September. The plant grows up to 5 feet in best thriving conditions. You can plant this sunflower in containers, pots or gardens. Pacino Cola sunflowers are ideal for indoor flower arrangements. Coloring these images, especially the one with a smiling face, is a lot of fun too. Therefore, these coloring pages are a good source of knowledge and enjoyment for children. Help your child celebrate the joys of summer with this pleasant Hamtaro coloring page. The coloring page features Hamtaro and his friends surrounded by sunflowers. Hamtaro is the little male hamster and the protagonist of the anime series “Hamtaro”. In fact, he is the leader of the Ham-Hams. Hamtaro is a very helpful and caring for his friends. He makes the most of his life as a hamster and lives each day with utmost happiness and satisfaction. Hamtaro shares a very healthy relationship with his owner Laura. He hates when Laura ignores him. Why don’t you let your child take it outside and color it while enjoying a little sunshine? Do you have an aspiring artist on your hands? 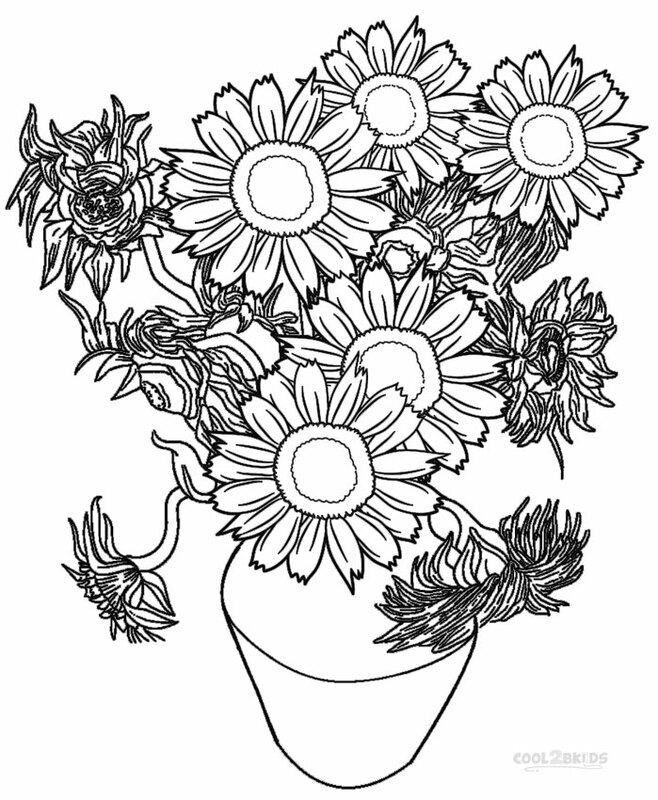 Then introduce him to this beautiful printable coloring pages of sunflowers and hibiscus vase. 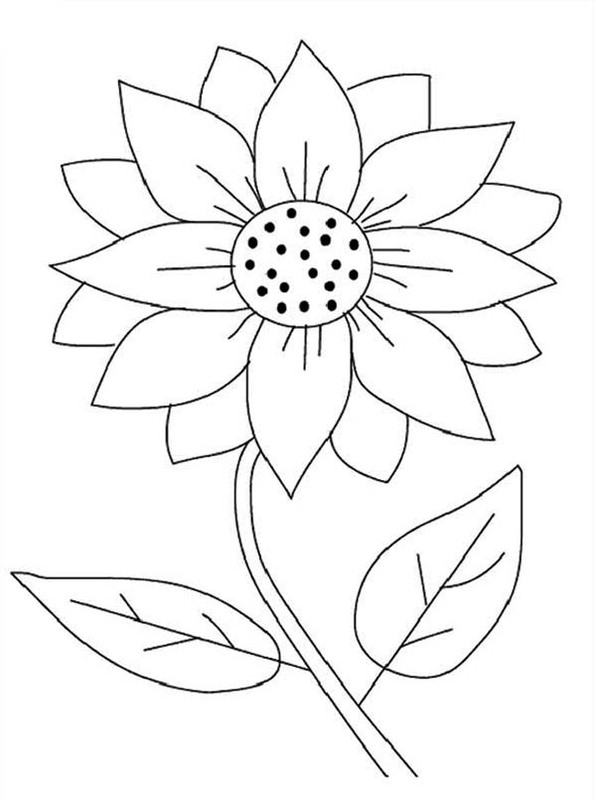 This coloring sheet is a great way to teach children about how to make cut sunflowers and hibiscus last long. You can also print out the coloring sheet on a contrasting card stock paper to make a lovely gift for mom, teachers, and friends.